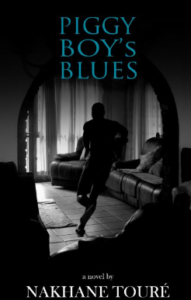 Blues is Nakhane Touré’s debut novel. It tackles issues of homosexuality in unexpected spaces, waeving a story about an agitated young man who has come to live with his uncle and the uncle’s male lover. It is a distorted pastoral and for all intents and purposes a portrait of the M. family. Piggy Boy’s Blues is a novel about boundaries, the intricacies of love and how the members of the M. family sometimes fail at navigating them.